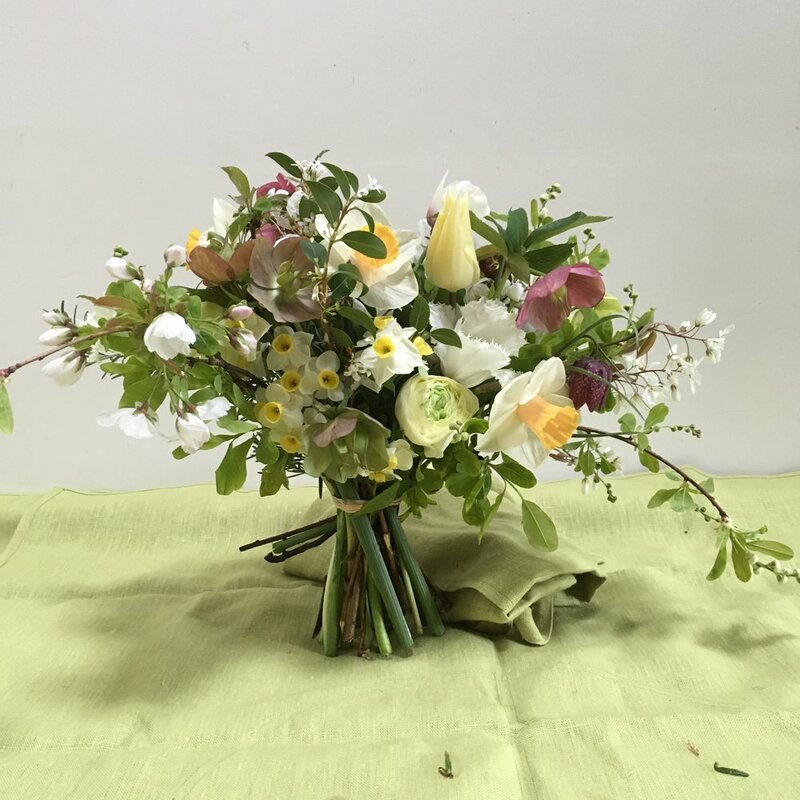 Following the popularity of our previous Wedding Flowers Inspiration blog, we've asked Frances Boscawen of nearby Moat Farm Flowers for some floral inspiration for bouquets and table centrepieces. 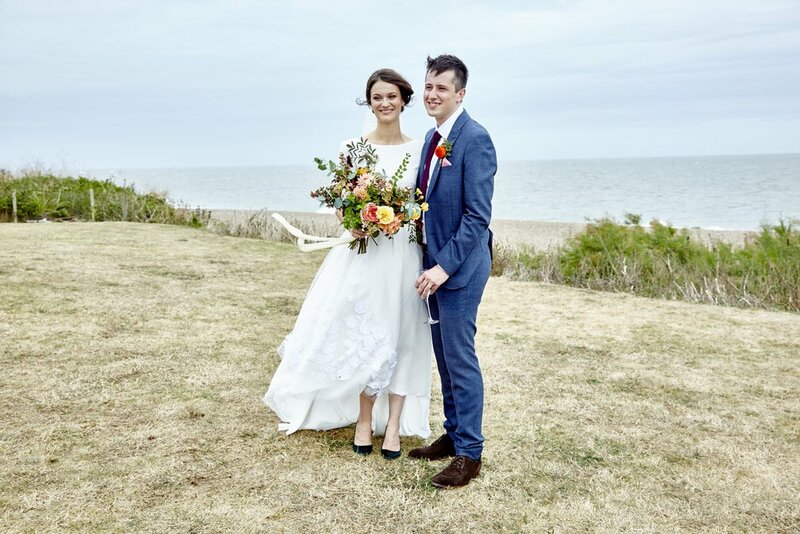 Frances explains: "My flowers are all of a seasonal nature and I love the wild look - which is very fashionable at the moment. Asymmetrical is the horizontal style and looks great with trailing silk ribbons. 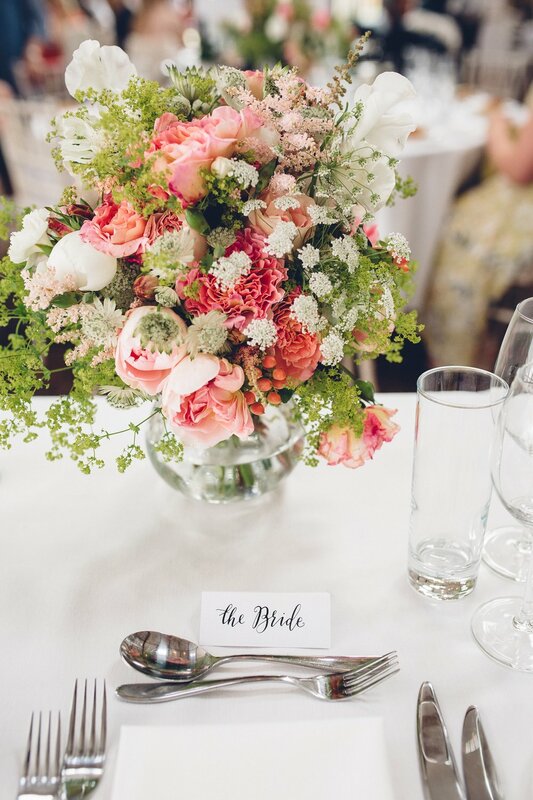 Hand tied bouquets can double up as a table centre, or I can provide extra vases to go on the cake table for bouquets. Trailing bouquets are also becoming popular. 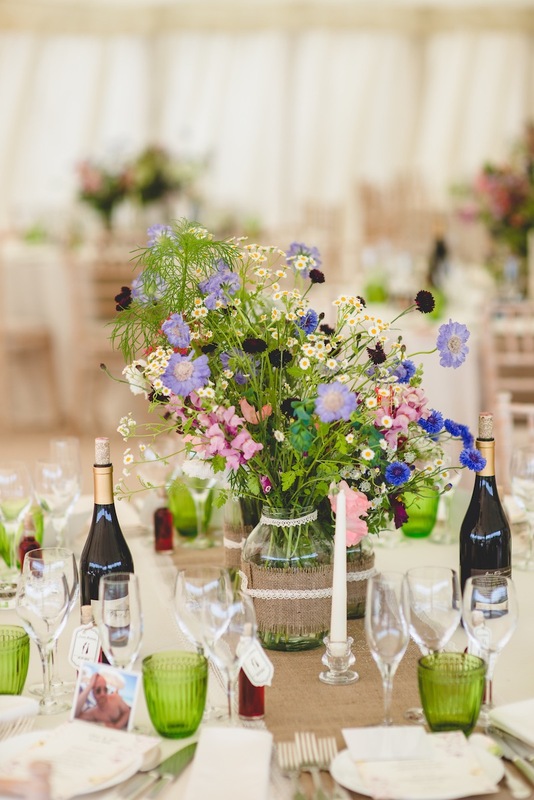 For table centres - again mine are seasonal and natural looking - glass vases look very fresh and a bit smarter than jam jars. 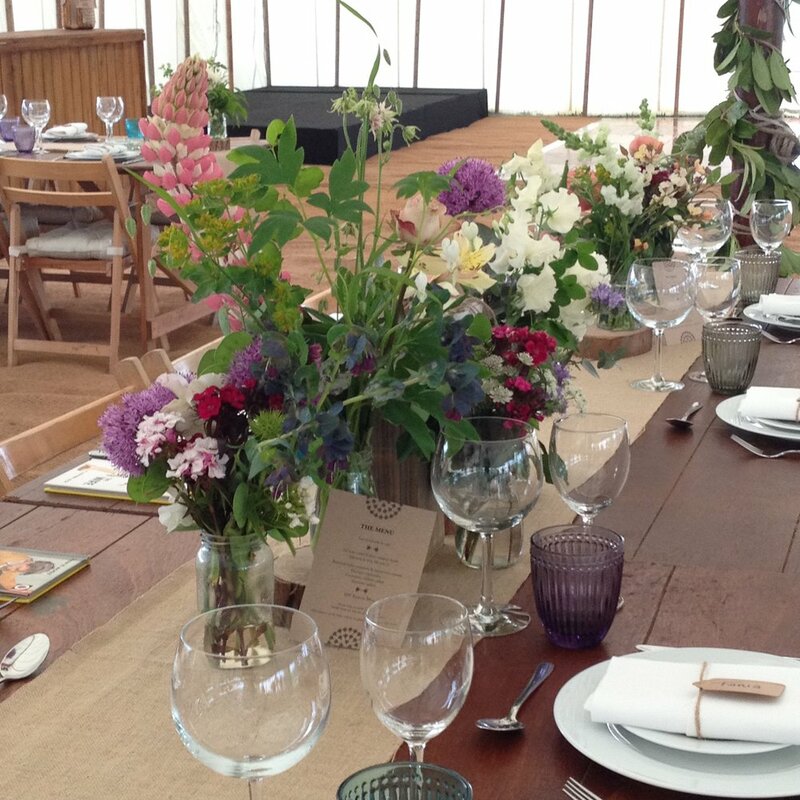 Table runners are great for long tables as long as there isn't going to be a lot of food on the table. 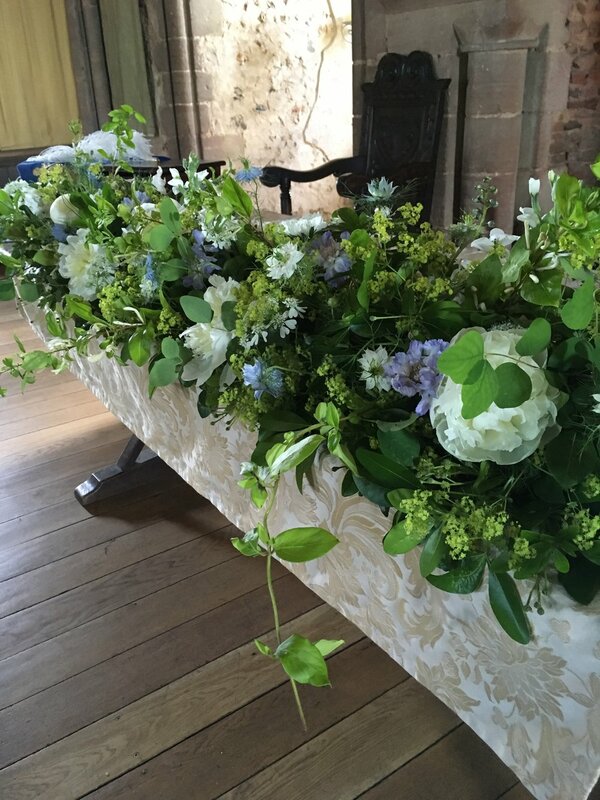 I have had some Gin themed weddings incorporating the bottles into the arrangement. 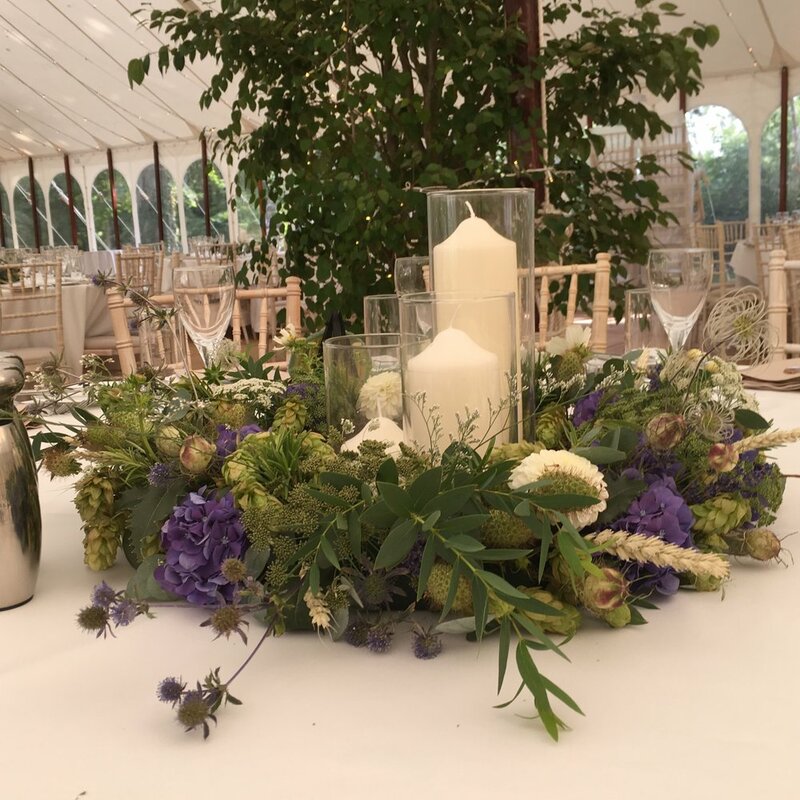 For money saving ideas the flowers from the ceremony table can be moved to the top table and, in the summer, I often sell extra buckets for brides and their families to do their own table centres." Older PostWedding Anniversaries: How do we celebrate?